← John Foxx + The Maths are Back…Back…BACK!! …24 hours later I have bought and listened to the new live Soundtrack recording of John Foxx + The Maths. It cut a crisp line between at least two separate nodes on the Foxxmap. A hybrid from the Cathedral Oceans approach of glacial beauty and the Ballardian side of Metamatic/Maths work… with a chaser of T-Dream for something new. Very tasty to get all of these flavors in a single meal! Any expectations of a strictly Ballardian take on the music [understandable, considering the story that the play for which this soundtrack was based upon] were dispelled instantly when the ethereal abstract vocals of “Memory Oxide” took flight in a way that, as I am listening to it on ‘phones right now, caused all of the hair on my arms to stand on end. Can anyone besides Foxx fill my ears with such a near-crippling beauty? This would have been a centerpiece of “Cathedral Oceans IV” if it ever came to pass. It’s miraculous to hear the presence that Benge brings to this brand of Foxxtune. Further Foxxian majestic melancholy was to come with the next piece; “Orphan Waltz.” The music was so present and “foreground” if you will, that its function as a soundtrack to a play seems almost prosaic in comparison. The vibe of “Meat + Metal” was certainly telegraphed by its title. This piece had more than a slice of the DNA from Pink Floyd’s “Welcome To The Machine.” This would not be the first time that Foxx had visited its neighborhood. I’mo glad that The Maths have been reactivated in such a fashion. The sense of beauty betwixt menace here was palpable and visceral. Made all the more potent by its relative brevity. One of the most delightful things about “The Bunker Tapes” was that it came without warning. Usually, when Foxx has a new release, the mailing list will drip feed pre-release hype to the faithful. This one just struck like a bolt of lightning. Here’s it is; available now. Download only. Though I prefer CD copies, this was immediate and thrilling. The low cost meant that near-instant purchase was a given. The Bandcamp account will deliver a wide variety of file formats, but I got a full CD quality AIFF file for my scratch, so zero complaints on the DL factor this time. This is yet another wonderful EP that Foxx has released in recent years. How many more EPs can Foxx record in his apparently liberal spare time? They have all been excellent and diverse, and there’s something to be said for getting in and out in less than a half hour. This entry was posted in Core Collection, Record Review and tagged 2016, Beauty + The Beast, John Foxx & The Maths, live album, soundtrack. Bookmark the permalink. 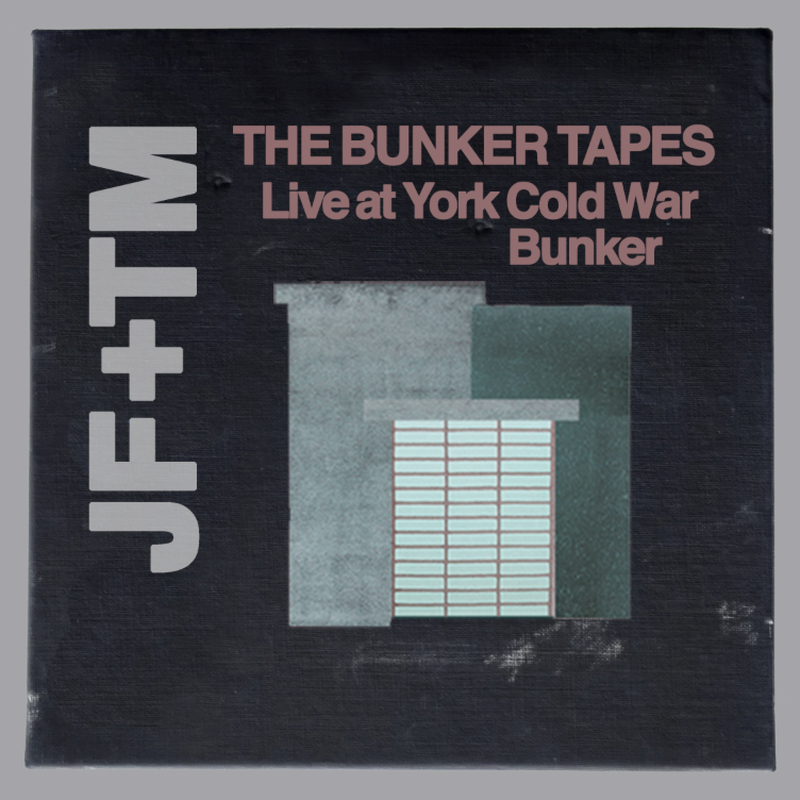 Organic, yet very much machine made, the music on The Bunker Tapes has a sort of, dare I say it, Steam-Punk feel to it. By that I mean it feels dressed in Edwardian garb, yet is futuristically mechanized at it’s heart. There is both a delicate beauty to this work and a focused purpose in its execution. It was the soundtrack to my evening last night and will probably be tonight as well. There is much to digest and encounter in this new music and I want to experience it all. Echorich – Seeing how the story dates from 1909, the steampunk vibe is highly appropriate. Hard to believe that this is his first real, original soundtrack work. By all rights he should have Clint Mansell’s career!!! Reminds me a LOT of the BBC Radiophonic workshop’s work through the 70s, but obviously with *quite a bit* more added on to it. Some really nice stuff! chasinvictoria – You could not have Benge without the BBC Radiophonic workshop!! Great review.I was one of the pairs of hands clapping on that final session of the day.A totally unique experience.In places I could feel the influence of Vangelis and John Carpenter creeping in a bit but that just added to it for me.A very satisfying overall. Brian Devine – Welcome to the comments! May I touch the hem of your vestments, sir? A concert would have to be 23 minutes long in that bunker! Any more and I’d probably spontaneously combust from the intensity of it all! It wasn’t that claustrophobic really.The room was quite big.I did the first and last sessions.This was the coolest Fox gig ever and remember that it was completely free of charge.So glad I made the effort to get to York from Lichfield.I think I may have replied on your comments before under my nickname mateybloke. I too love the way Benge adds a degree of mechanisation to the choral harmonics of Memory Oxide. It seems to bring all the elements of JF’s work together, in a way that the Ballardian release alluded to a couple of years ago. I have been lucky enough to see the play, wherein the soundtrack pieces are mixed live during the performance. the music doesn’t appear in sequence like it does on The Bunker Tapes, but is cut-up, mixed and looped ‘live’. Wonderful EP, like you say, very unexpected. Great that you get a pdf of the artwork, makes the CD redundant, considering its a 24 Bit recording. This avenue of releasing new work on Bandcamp, is one John should pursue, minimal cost i would have thought, let the buyer make their own CD if they wish. Ljohn Foxx – Welcome to the comments! I worry about the durability of DL files. One of the pleasures of records and CDs is that they can endure over time. Records and discs manufactured may be discovered by new ears throughout time. Files may not be compatible with future OSes, and even if they are hosted online could be subject to copyright takedown issues. Files, I worry about. Physical carriers less so. I appreciate that Foxx has pressed up dozens and dozens of discs on his label.